Greetings to you my sisters and brothers in Christ! Oh my so Much Work for us to do by His Power and Purpose! We have been chosen by Him to do what He needs us to do. Wait on His Divine order and timing, until He has prepared you And has directed you to go and do, so that you will be effective and efficient in His work. Calm yourself and sit with Him as often as possible, talk to Him, share with Him all gladness and sadness, all through out the day, asking for His guidance and direction concerning every thing that is a challenge to you. He will reveal Himself as your help if you allow Him to do so. and problems, changing situations and circumstances into hindrances and mountains, I am giving you this encouragement and the scriptures to be your help for the challenges and troubles that are either happening now, or are on the way. Speak these aloud, as your strength and reassurance that You Are on the side of our Lord, and that You expect Him to be on your side also. Speak/Confess what you Expect Him to do, His Promises and Truth as your shield and guide. We have been given a perfect measure of all Spiritual Gifts, use your self-control and self-discipline to Calm yourself down in the midst of these troubles, and situations that have been sent to take you out, discourage you and to be a burden on your back. Take the time to be with yourself, examining to make sure that you are Not attempting to do His part in this relationship And that you Have done your Part completely. Many times it is not that we have done the Wrong things, but that we have Not done Enough of the Right things! Give it all to the Lord and then ask Him what has He planned for you to do today. Stay with that and He will handle the other things through your faith and trust in Him. What ever is dead in your life, ask the Spirit of our Lord to reveal all dead things to you so that you are able to allow Him to cut it away from your heart and hand. All dead things, thinking, speaking, actions, non-actions, relationships, material things, pain, hurt, rejection; Everything that opposses His Love, Will, Plans and Purposes for your life get rid of them--they are useless! All the things that you are holding onto that have no use at all in your life are powerful because you give them power and permission to control your life. They have no power to move you forward, they are weeds that are sucking the life out of the ground of your heart and keeping the Seeds that God has planted in you from growing and producing the Fruit that they have been designed to produce. He desires to clean our heart day by day, until it is completely full of Him. He is making Room in your heart, soul, and Spirit for Him to Increase and for you to decrease. 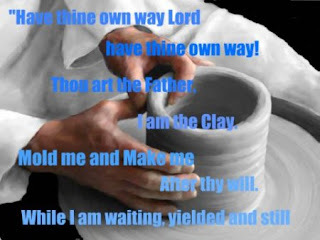 He is remolding each of us as He Is the Potter who molds the clay into the desired vessel for His purposes and plans. We are the Fruit of God's Love! 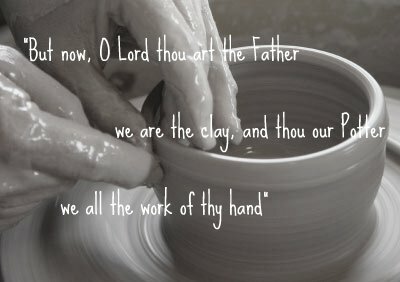 He waters us, prunes us and cares for our gardens so that we are able to produce the Fruit that He has divinely planned for us to grow And Share with all others in His Name! Don't you know He is pleased and lifted on High when we Share our heart and Faith with others! When we forgive, and bless the broken hearted and hurting people in His Name. That May be all you can do for many, forgive them, pray for them and bless them in His name. Then do that as many times as necessary. You will be free from the burden, from the chains of hatred and unforgiveness that are sent to bind you up. Such Glory does He receive as we seek to encourage and build each other up with our Faith and through His Word. His indwelling Holy Spirit Will speak from your heart and mouth the Truth of Him that others Need to hear! He sees our tenderness towards Him as we are a blessing to others. We do for Him through our actions, words, and thoughts toward others. How precious we are in His Sight and He blesses those who bless Him! In all these things that we do, we are feeding the Seeds that He has planted in us, and from the watering comes buds that evolve into blooms and fruit! "How Beautiful Upon the mountains Are the feet of him who Brings Good News, who Proclaims Peace, who Brings Glad Tidings Of Good Things, who Proclaims Salvation, who Says to Zion, "Your God reigns!" "The steps of a good man (woman) Are Ordered By The Lord."